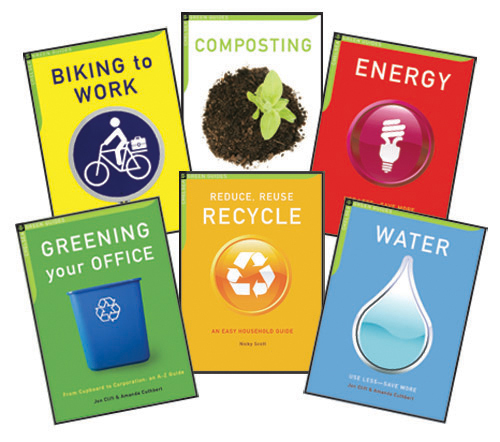 I know there are plenty of books out there that explain how to save energy at home but what if you could make your house use no more energy than it needs to produce. We hear this word “zero-energy” but do we really know what it means or how we can attain it? 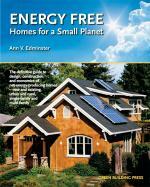 Energy Free details how we can get to “zero-energy” and stay that way. Individuals and institutions have been working toward “zero-energy” homes for decades. This volume is the first record of those collective efforts, distilling their experience into a practical and comprehensive how-to guide. The author includes resource information and step-by-step guidance on how to make decisions that will yield an energy-free residential project, whether a single-family home or multifamily building, new or existing, in an urban or a rural setting. The unique needs and opportunities of each context are addressed. Energy Freeoffers a wide array of resource information, including detailed window and insulation comparisons; assessments of the relative contribution of different building elements; and overall performance. It draws on research and empirical data from myriad sources, including the Department of Energy’s Building America program; Sacramento Municipal Utility District’s House of the Future; Passiv Haus Institute in Europe and the Passive House Institute of the U.S.; Florida Solar Energy Center; Living Building Challenge; Affordable Comfort, Inc.’s, Thousand Home Challenge; and many pioneering individual home projects across North America. 1. Glue your turkeys eyes to almond and let dry. 2. Glue the hard candy to front of apple and let dry. 3. Glue the almond to the hard candy and let dry. 4. Glue peanut below almond for turkey’s wattle. 5. Unfold napkin halfway, then fold back and forth like you would a fan. 6. Put a paper clip in the center of the folded napkin. 7. Pull ends of folded napkin together and then secure it with a paper clip at top . 8. Place the napkin behind the turkey or you can use a little hot glue to attach it. 9. Unbend one end of a paper clip and insert into apple. Use it to hold place card. 10. Cut placecard from colored paper. 12. Decorate the name card any way you wish or leave it plain. Clarins Just For You. Free Shipping any order One Day Only – 12/10/09 – code ONEFS at checkout! 15% Off All Brands at Beautorium – Shop Now! Numi is announcing FREE SHIPPING on any order over $25 from on December 8. Use promo code NUMFSD9. Gift certificates are now available from Nick Arcade! More Holiday Discounts and Deals! www.BetterLifestyleProducts.com 10% off plus free shipping on orders over $150.00. Offer ends Dec 31st 2009. Save 10% and receive free shipping over $30 at Bangalla.com – your home for green gifts. Great Discounts as Black Friday Goes Green at Beautorium.com! Save 50% on 3 games with a 3 game gift certificate from Nick Arcade. FREE shipping on orders over $75. Enter code FREESHIP at checkout. Free Shipping on ALL orders over $75 at the Crayola Online Store! Save 15% on retail orders over $50 at YogaAccessories.com. Use Code AFSAV15 at checkout. Expires 12.31.09.